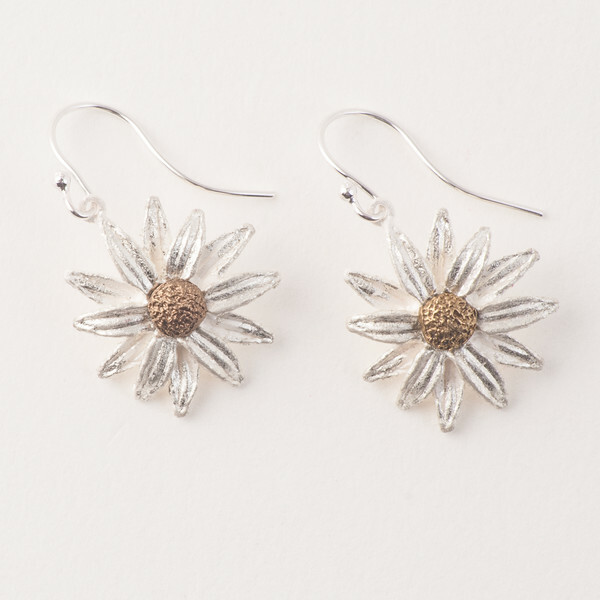 These adorable, yet sophisticated daiy earrings were inspired by Georgia O'Keeffe's 'Yellow Hickory Leaves with Daisy'. Created by Michael Michaud for his Silver Seasons Jewelry collection. The earrings are almost 1" in length and are cast in bronze and finished with silver plated leaves with accents of white paint and gold-plated center. Made in the USA.